Courses Booking NOW – See our training page for a full list of courses currently on offer. 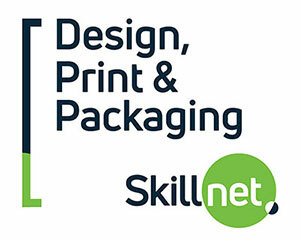 Email maureen@dppskillnet.ie to book your print or design training today! We are open to providing new training courses as required by our members at any time. Please contact us with you exact training needs. Alternatively contact us to request a meeting with a training expert to assist you to develop a training plan for your organisation. This service is free to members and aimed at developing capacity within the industry. We can provide all types of programmes from breakfast briefings and lunchtime learning sessions and one day masterclasses up to an including a Masters in Professional Practice for Print and Design. In addition we provide a competence development service to help your company create a structured training plan for employees through certified and non-certified training that is relevant to your business needs. Training is an excellent way to motivate and develop key staff as well as making sure that your company can remain competitive in a challenging environment. If you are considering booking a training course and would like any further details please email admin@dppskillnet.ie. Bookings can be made online through the website* or directly with an invoice by emailing maureen@dppskillnet.ie. *Please note that fees apply for online bookings.